Prospecting – whether for gold in a mountain or lead in a city’s water supply – may one day be as quick and easy as a litmus test. 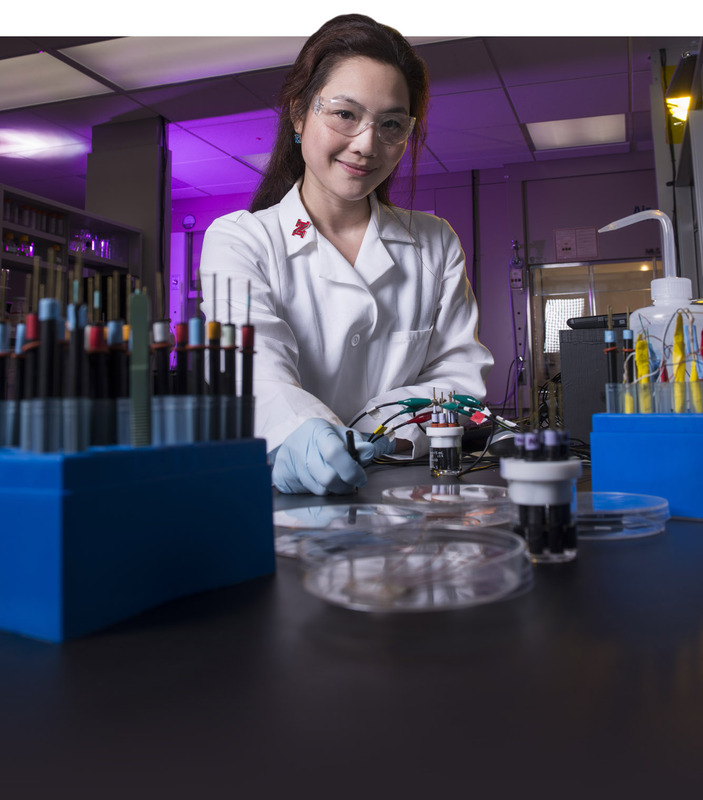 UNL chemist Rebecca Lai is developing a series of hand-held biosensors to detect a variety of metals, including gold, silver, lead, platinum and mercury. Instead of sending samples away for time-consuming tests, Lai’s portable devices can be used in the field or home, saving much time and money. 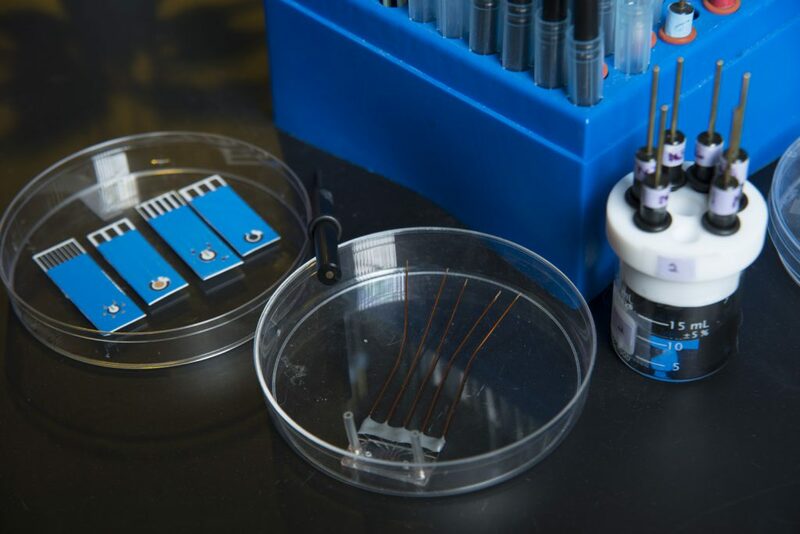 Paper-based sensor strips (in the dish at left) detect target substances, including mercury, gold, lead and uranium. The reusable sensors, fabricated on paper strips, can handle water, air and solid samples. This flexibility opens numerous opportunities, for mining companies foraging for gold or regulators hunting down water or air contaminants. Homeowners may one day be able to use the sensors to test their tap water or yards for heavy metals. The metal sensors rely on a surprising source: DNA’s building blocks. Researchers have long known that metal ions recognize and react to different DNA or other molecular building blocks. Lai’s sensors exploit that reaction. 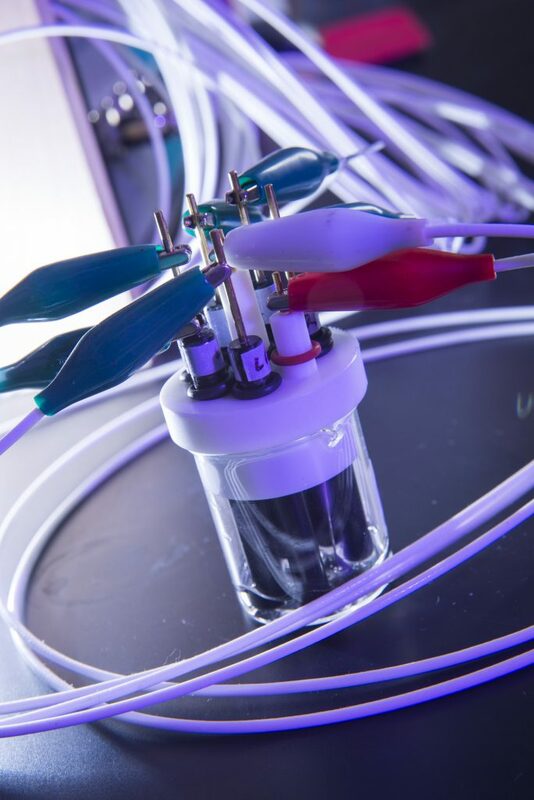 They work by measuring the electric current passing from an electrode to methylene blue, a tracer molecule, attached to a molecular probe specific to each metal type. The current changes in the presence of the metal being tested. To help combat contaminants found in groundwater, Lai also plans to develop biosensors to detect arsenic, uranium and selenium. She uses a similar approach to devise biosensors for viral antibodies, antibiotics and nitrates. Lai is working with NUtech Ventures, UNL’s technology commercialization affiliate, to patent and license the biosensors. The National Science Foundation and the U.S. Environmental Protection Agency support her research.